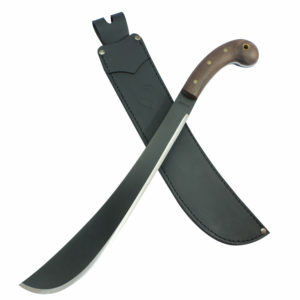 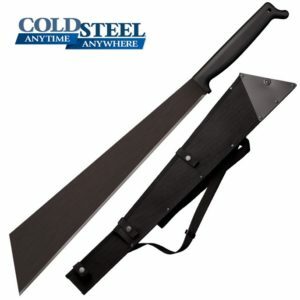 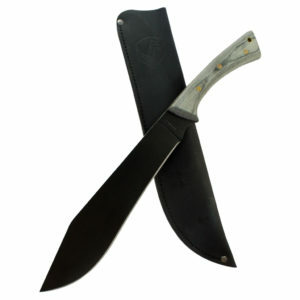 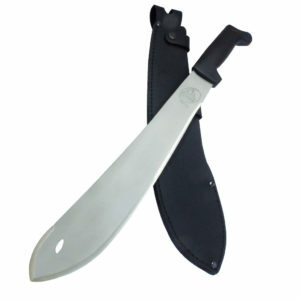 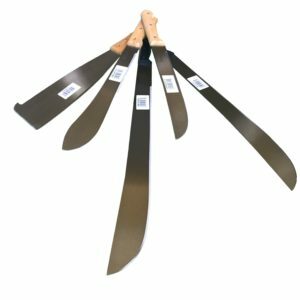 The colima or acapulqueno machete possesses a paddle-shaped blade that comes factory sharpened on both sides. 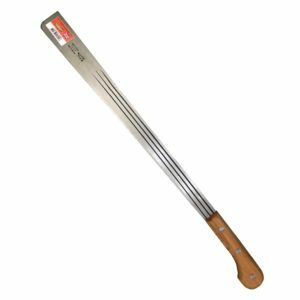 The spine of the blade has a bulge for added heft on the weaker backstroke, which allows effective cutting in both directions. 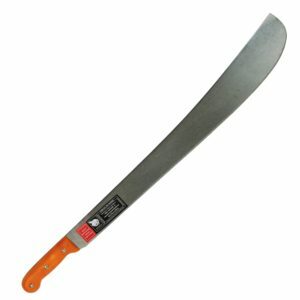 This has the thinnest blade of all the colima style machetes.